Gallic acid is also called "galic acid" and "tannic acid". The scientific name is "3,4,5-trihydroxybenzoic acid". Molecular formula C7H6O5. 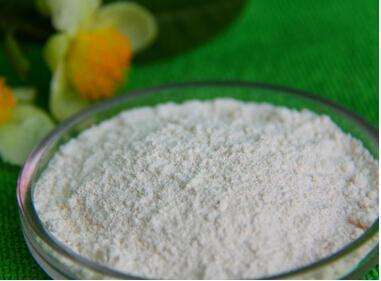 It is widely found in plants such as rhubarb, big leafhopper, and hawthorn. It is a polyphenolic compound found in nature and has a wide range of applications in food, biology, medicine, and chemical industries. According to foreign literature, gallic acid was first produced by Scheler (1786). But ancient China was already there. This has been clearly documented before. For example, in the Ming Dynasty Li Ting's "Introduction to Medicine" (1575), the process of obtaining gallic acid from gallnut by fermentation was described. In the book, it is said that "the gallnuts are coarse powder, and they are simmered, squid and evenly. If they are used as koji, such as porcelain, they can't see the wind, and the whites are taken out." In the "Compendium of Materia Medica" volume 39, there is a record of "seeing that the medicine has grown up with a long cream, and the medicine has become a cockroach". Here, "white" and "long frost" are the meaning of gallic acid formation. It is the earliest organic acid produced in the world, two hundred years before the discovery of Scheler. Properties: white or light brown needle crystal or powder (crystallized from anhydrous methanol and chloroform), when sublimed at 210 ° C, a stable crystal is obtained, 258-265 ° C (decomposition) and an unstable crystal. The crystal water is lost at 100 to 120 °C. Solubility: 1 g was dissolved in 87 ml of water, 3 ml of boiling water, 6 ml of ethanol, 100 ml of diethyl ether, 10 ml of glycerin and 5 ml of acetone. Almost insoluble in benzene, chloroform and petroleum ether.